O. Voskoboynikov, Le Moyen Âge en quête de l’harmonie - C. Panti, Boethius and Ptolemy on Harmony, Harmonics and Human Music - V. Zharkaya, The challenged Harmony Byzantine Dispute over the Form of the Universe - V. V. Petroff, «Armonia rerum» in John Scottus’ Aulae sidereae - J.-P. Boudet, L’harmonie du monde dans le De radiis attribué à al-Kindi - A. Litvina - F. Uspenskij, Dynastic Power and Name-giving Principles in Kievan and Muscovite Rus’ (10th - 16th Centuries) - A. Paravicini Bagliani, La papauté médiévale et le concept d’harmonie - I. Caiazzo, Harmonie et mathématique dans le cosmos du XIIe siècle - F. Santi, How, when and why the so-called Chirping of Birds pointed out the Harmony of the World - O. Voskoboynikov, Deux harmonies en comparaison: Michel Scot et Grégoire du Mont Sacré - N. Weill-Parot, Nature universelle et harmonie du monde (XIIIe-XIVe siècle) - J. Wirth, La notion médiévale d’harmonie et ses applications artistiques - M. Sorokina, Le ciel des empyrées une fonction harmonique? Un débat théologique au XIIIe siècle - T. Suarez-Nani, Les anges et les cieux, figures de l’harmonie universelle - M. Khorkov, Harmony of Intellect and Disharmony of Soul in German Mystical Texts of the Late Middle Ages - M. Boytsov, Seeking for Harmony after Chaos Political Ceremonies in the First «Ceremonial Section» of the Golden Bull of 1356 - D. Jacquart, L’harmonie des parties du corps entre Moyen Âge et Renaissance - M. Shumilin, «At uidete quam concinne». 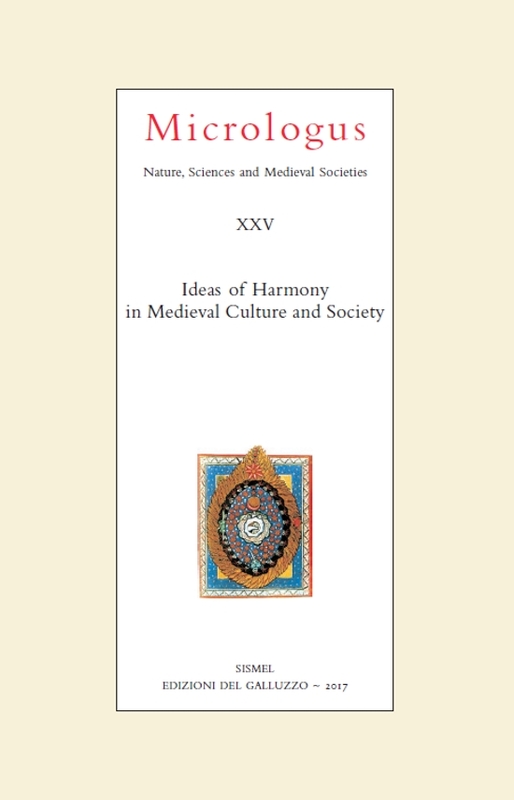 Changing Attitudes to Metrical Harmony in Giovanni Pontano’s Actius - G. Zelenina, Harmonizing the Spanish Inquisition in Castilian and Sephardi Historical Schemes and in Messianic Scenarios - O. Togoeva, Sorcellerie comme disharmonie dans l’univers de Jean Bodin - K. Bauer, How to imagine the Harmony of the World in the Seventeenth Century The Harmonice mundi by Johannes Kepler. Indexes by A. Paravicini Bagliani and O. Voskoboynikov.